According to family lore, Herman Mangels drank often and his wife was tired of his drunkenness. She was supposed to have told him that the next time he came home intoxicated, he would be sent outside to sleep on the porch. As fate would have it (the story continues), Herman’s banishment occurred during a cold Chicago winter. After spending a night outside, he caught pneumonia and died. During a recent trip to Chicago, I visited the address listed in the 1910 Chicago City Directory and on the 1910 census. There isn’t much of a porch in front and there isn’t anything remotely close to a porch in back. 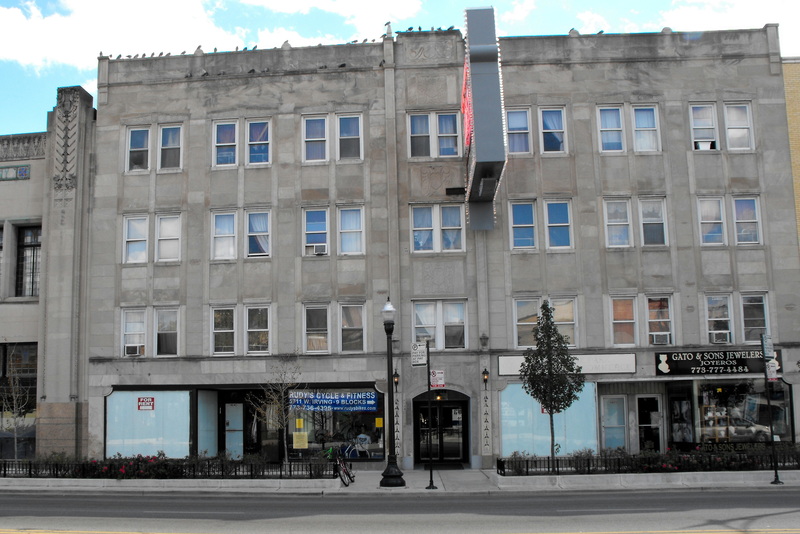 It’s possible that 4845 Irving Park Road (pictured below) is different than 4845 Irving Park Blvd (as listed in the records mentioned above). More likely is that the 1910 building has been remodeled or replaced or that the porch part of the family story was misheard, like what happens when one plays the children’s game Operator. But the simple lack of a porch does not discredit the story of Herman’s banishment and subsequent death. However, his death certificate certainly raised some suspicions that there was more to this story than was being told. According to his death certificate, Herman had indeed caught pneumonia and died. But that happened in the hospital where he was being treated for a self-inflicted gunshot wound. This document inspired many questions and provided few answers about the circumstances surrounding Herman’s death. If you read yesterday’s post, you know the Cook County Medical Examiner’s Office recently sent me copies of the inquest record that was prepared after Herman’s death. And you may recall my promise to share those documents with you. Before I do that however, I’d love to hear about a family story you have proven or dispelled. How did you do it? And how did your family react to the updated version of your family history?